What is Data Exploration with Looker? 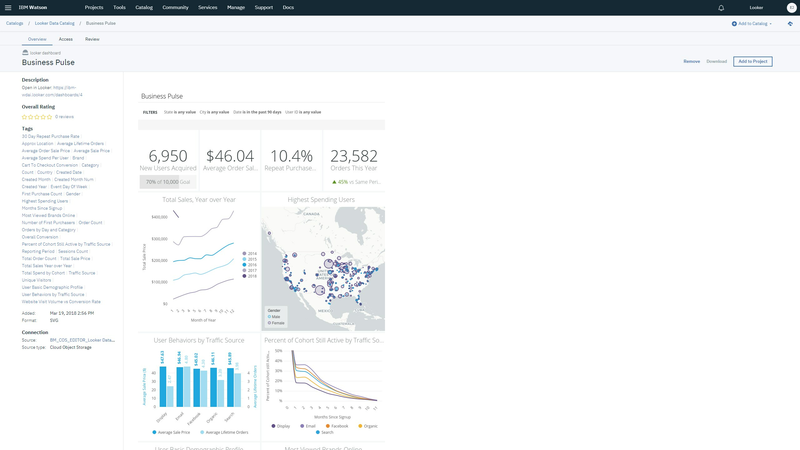 IBM Data Exploration with Looker powers accessible, usable analytics for today’s modern workforce. With trusted and governed business metrics and KPIs, increase productivity for knowledge workers, analysts, and data scientists. Deliver, integrate, and automate data into products and workflows to drive intelligent action across the enterprise. Leverage the power of the modern data warehouse to access and analyze massive data sets without restrictions or extractions. Access a wide range of sources including IBM Db2 Warehouse on Cloud and Hadoop. Align around a single source of truth for all business metrics and data assets using a collaborative, version-controlled data model. 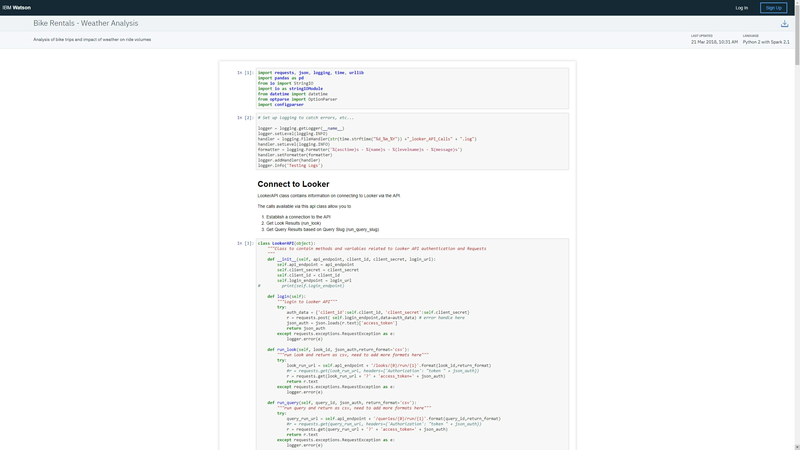 Extend models to provide access to clean data pulls to fuel data science and all forms of AI, including ML, with IBM Watson Studio. Extend the expertise and skills of your most talented data professionals. Increase the consumption of data throughout the business and drive productivity using data for all types of users, with IBM Watson Knowledge Catalog. Deliver compelling interactive dashboards and visualizations. Understand the details with drill-down capability to row-level. Schedule, share, and deliver visual content with built-in automation. Easily explore and ask new questions of your data, find new discoveries, and share with other users. 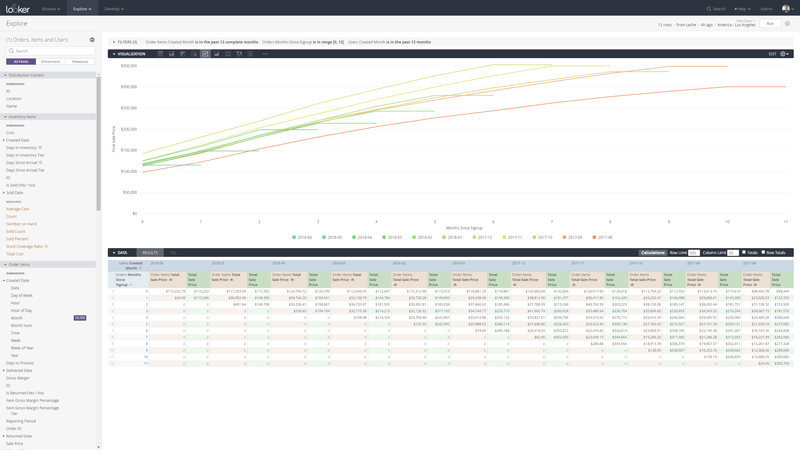 Integrate data into other applications, tools, and workflows to operationalize insights and make smarter and faster decisions. 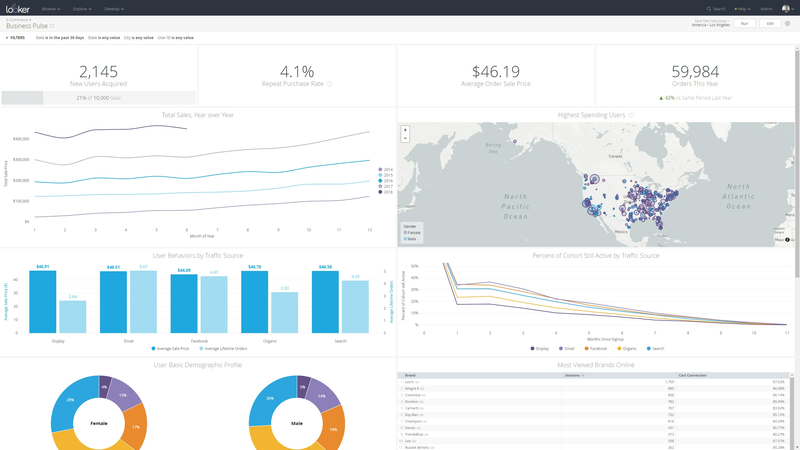 Visualize all of your data and create operational dashboards for the business. Drill down into any visualization to see row level details. Ask & answer new questions with an intuitive data exploration environment. 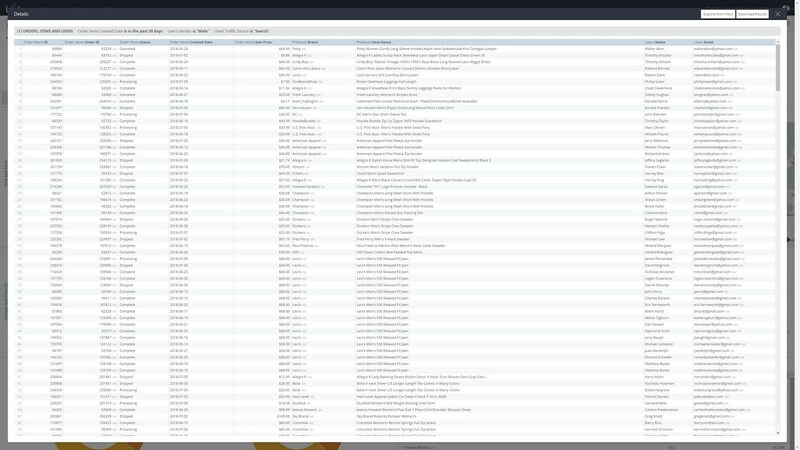 Share, schedule, and send data insights to other users, or deliver the data to their applications. Create trust in business metrics with a version controlled, code-based semantic data model. 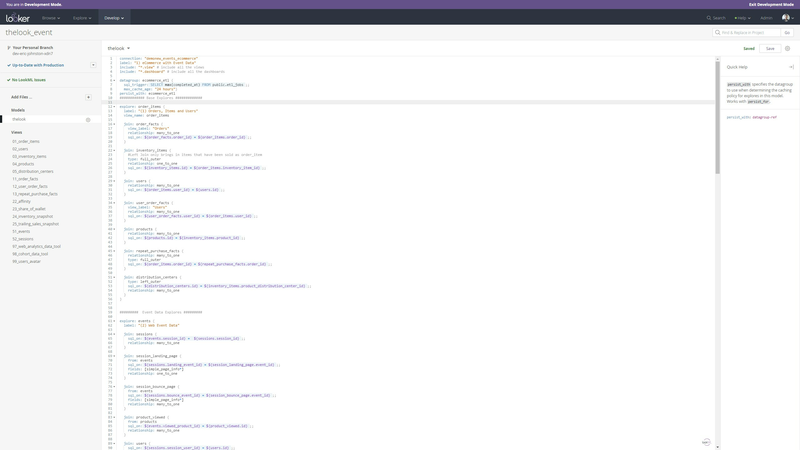 Automate workflows, trigger events, or send notifications to 3rd party applications. Publish created content directly to IBM Watson Knowledge Catalog, making it easy to shop for the data you need. 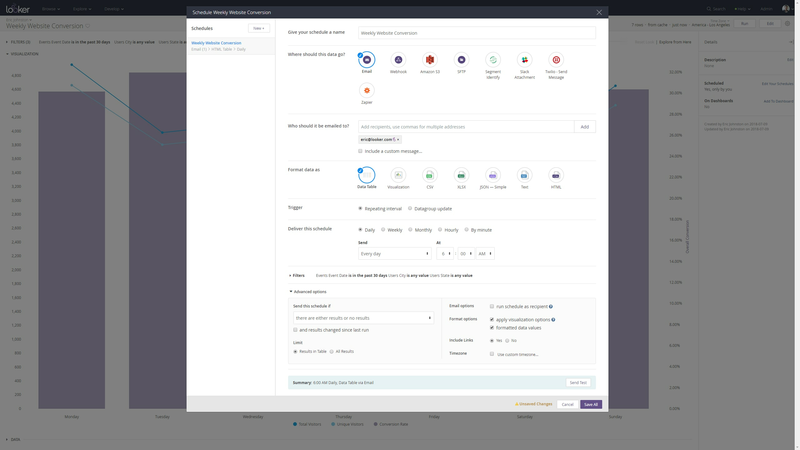 Feed clean data streams directly to IBM Watson Studio, reducing the time data scientists spend finding and preparing data. 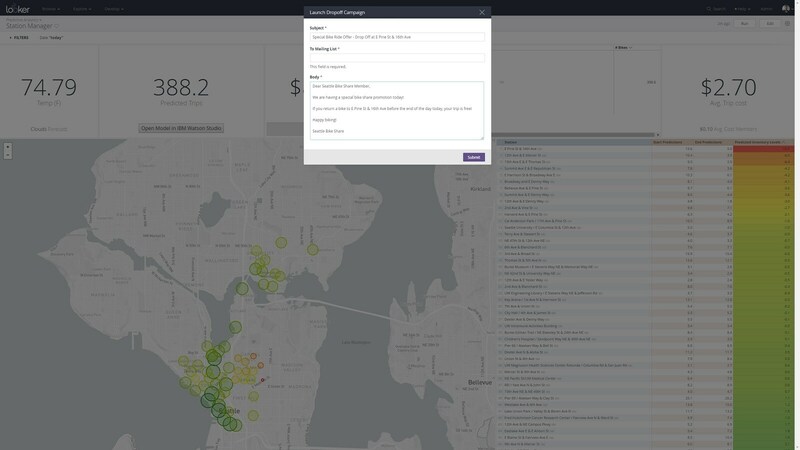 Learn more about Data Exploration with Looker.